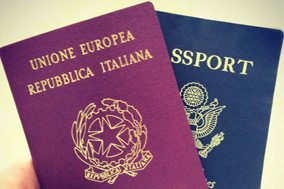 The National Italian American Foundation (NIAF) has served as a pillar for the Italian American community for nearly 37 years. 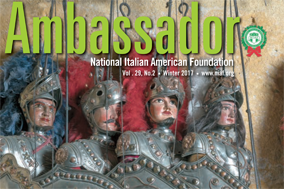 In that time, NIAF has devoted itself to preserving the rich history and heralding the innumerable contributions of Italian Americans. 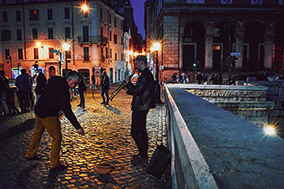 NIAF’s efforts have paved the way for Americans of Italian descent to realize their dreams academically, artistically and culturally while contributing to the tradition of our great heritage. With your generous contribution, you can become part of that building block at NIAF’s headquarters in Washington, D.C.
Join celebrities such as Frank Sinatra, Dan Marino and Garry Marshall by purchasing a custom commemorative brick. This lasting symbol of your proud heritage will be placed at the entrance of The Ambassador Peter F. Secchia Building where business and political leaders pass, and serve as the symbol of the Italian American community in Washington. 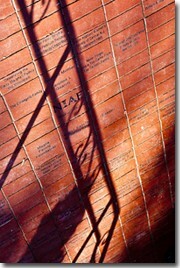 We have already begun this iconic project by placing our first phase of bricks. 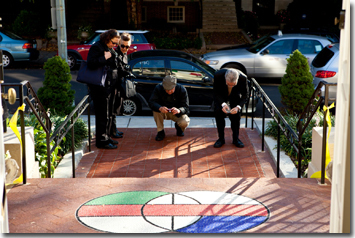 With your help, we’ll be able to add to this walkway with the second phase being laid in the summer of 2013. 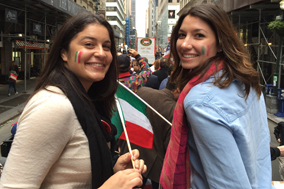 The NIAF Walk of Honor will be a permanent icon of you and your family’s contribution to the preservation of the Italian heritage. Commemorative bricks start at $250. CLICK HERE to download the order form (pdf format). For more information please email WalkOfHonor@niaf.org.